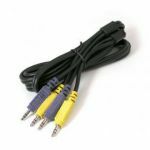 If you’re serious about your home theatre system, you know the importance of using quality sound cables. When it comes to digital audio, there’s nothing better than Toslink for maximum audio clarity and resolution. With no distortion or signal interference, Toslink gets the most out of your digital audio gear for rich, detailed sound, even at extreme volumes. 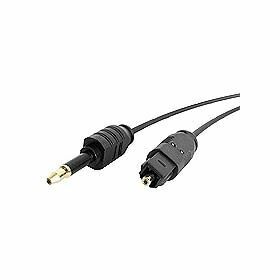 These digital audio cables let you connect your Toslink and Miniplug devices. 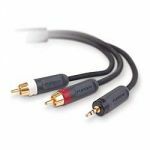 Thinner and more flexible than our regular audio cables, these cables are perfect for installations where space is tight. 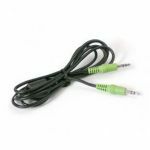 The flexible PVC jacket construction lets you bend the cable into any position you need while maintaining optimum fiber alignment so the sound quality doesn’t drop. 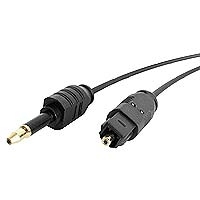 Experience the sound quality that only a pure digital connection can provide with StarTech.com Toslink cables.